The fire was ignited by a resident trying to burn debris despite a burn ban, according to the fire department. 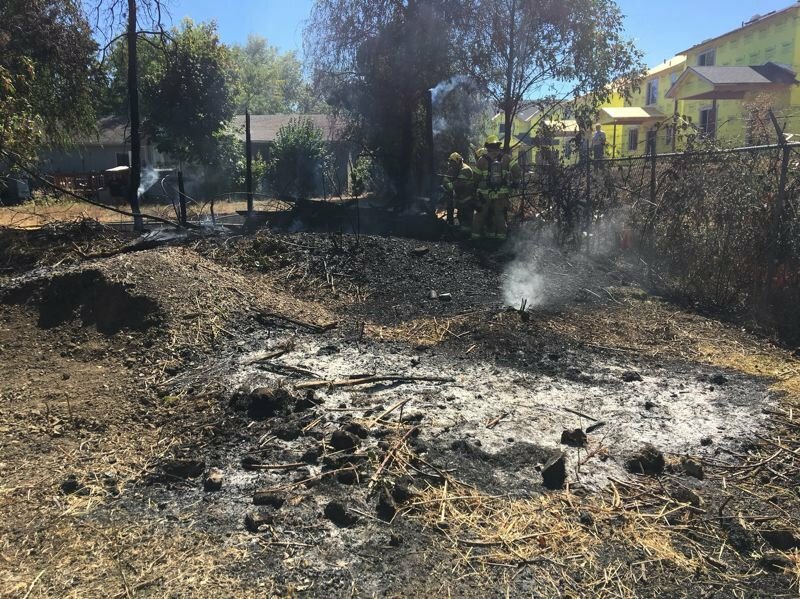 A small brush fire claimed a decorative deck in south Cornelius on Monday, Sept. 3, according to the Cornelius Fire Department. The fire department said the fire was started by a neighbor attempting to clear and burn vegetation Monday morning. A burn ban has been in effect since early July. "Here is a great example of how a small burn pile that was thought to out can became active with warm temps and a little wind, spreading to anything that can burn near it," the Cornelius Fire Department stated on Facebook, reiterating in all capital letters that the burning of debris is prohibited with the burn ban in place. The fire was started in the area of South Flax Plant Road and 12th Avenue, a couple blocks east of Echo Shaw Elementary School. Firefighters responded and cleared the scene by about 3 p.m. Monday. However, they were unable to save the deck, which the fire department stated was used for weddings and other events. The fire scorched about 1/16th of an acre, or a little less than 3,000 square feet, according to the fire department. Firefighters were able to prevent the fire from spreading to a hedge next to the house with the deck. It's been a busy week for Cornelius firefighters and other emergency responders. Last Thursday, Aug. 30, they responded to a major gas leak in downtown Cornelius. The day before that, sheriff's deputies serving the city of Cornelius were called out to the scene of a crash involving a school bus that sent one elementary school student returning from his first day at school to the hospital.